You realize that you have untapped potential in your website. There are thousands of searchers out there looking for what your business offers, but many of them aren't finding your website. You know that SEO can solve that problem, but you aren't sure where to start. You could teach yourself SEO. But you don't have the time to learn the ins and outs of search engine optimization. There are no shortage of resources out there, but how do you know where to start? How do you make sense of the countless blog articles and how-to guides scattered across the internet? You could hire an SEO company. A full-service agency could do the work for you, but that may not fit within your budget. If you have limited resources to dedicate to SEO, you want the best bang for your buck. Or, you could choose ReadySEO. ReadySEO is an easy-to-follow, step-by-step program and collection of resources that helps you maximize your website's value, on your schedule. 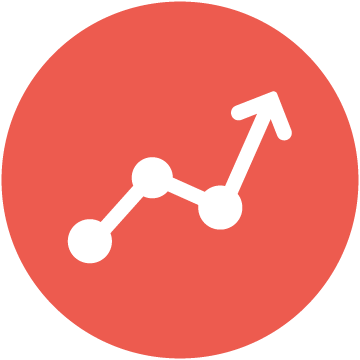 Growing your business online with ReadySEO means more leads, customers, and revenue. The skills and knowledge you gain from ReadySEO can be applied to any business and any website you work with. Your website is an invaluable tool and resource for your customers. ReadySEO helps you improve your website's user experience. Don't pay for a firm to do the work for you if it doesn't make sense for your business. ReadySEO is included free with a ReadySite. Teaching yourself SEO using hundreds of scattered sources from all over the internet wastes your time. ReadySEO is quick and easy. If you aren't taking advantage of modern SEO best practices, your competitors are. ReadySEO gives you the edge you need online. Engaging overview videos each month. 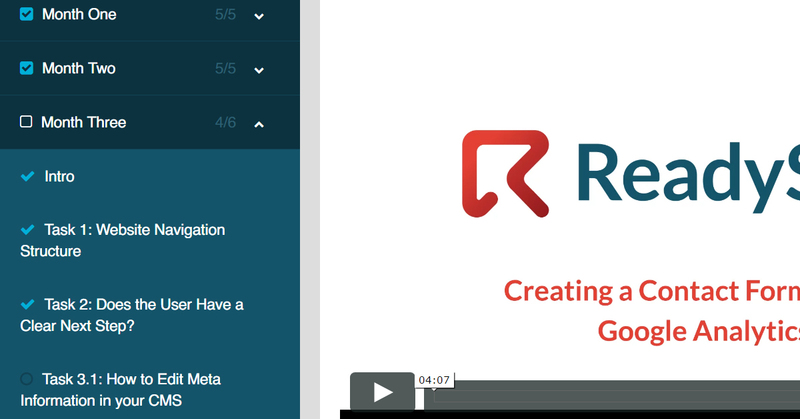 Step-by-step guide walks you through each ReadySEO task. 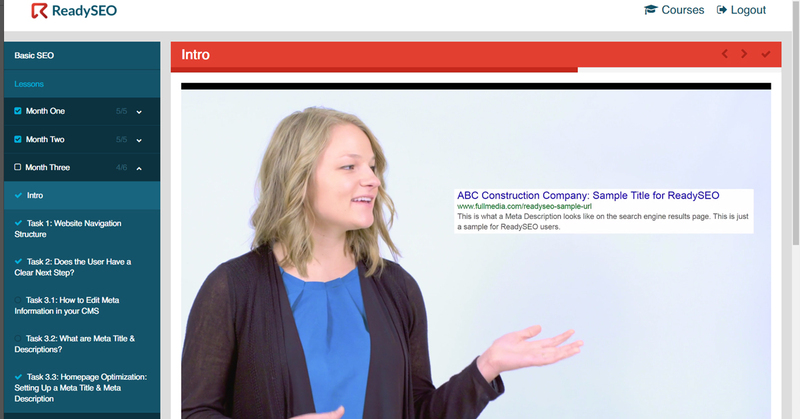 Sign up to get access to a monthly program with simple video and text guides that walk you through optimizing your website and growing your online presence. Follow the simple guide you get each month. You'll only need a couple of hours each month to grow your website's potential. Consistently following the easy tasks each month will lead to more traffic, leads, & revenue for your business. Each month you get access to a carefully planned strategy for your business. You decide when to do the tasks. It only takes a few hours per month to see results. 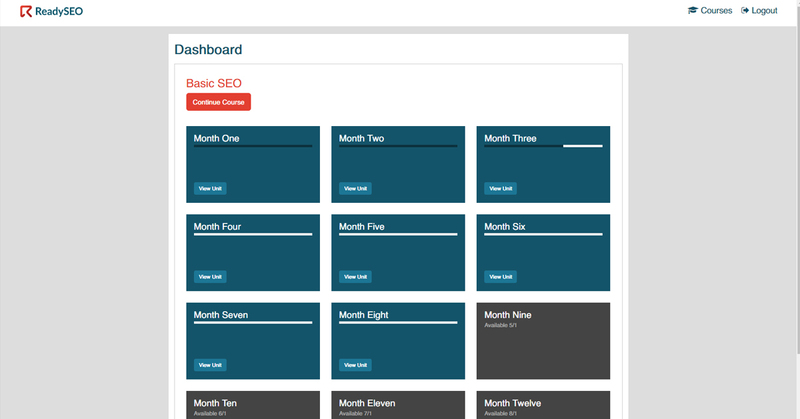 ReadySEO is as simple as it gets. We give you quick & easy step-by-step tasks; all you have to do is follow along each month. ReadySEO is action-oriented. We get straight to the point with instructions that you can implement day one. ReadySEO is designed and created by Internet marketing experts. 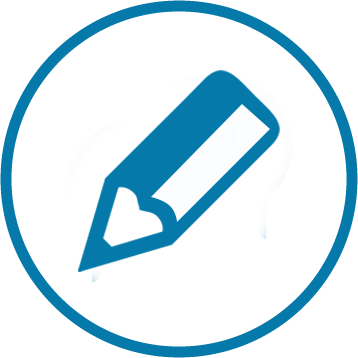 Our expertise is distilled into its simplest form to show you results. ReadySEO organizes valuable SEO resources into an intentional order for you to easily follow each month. 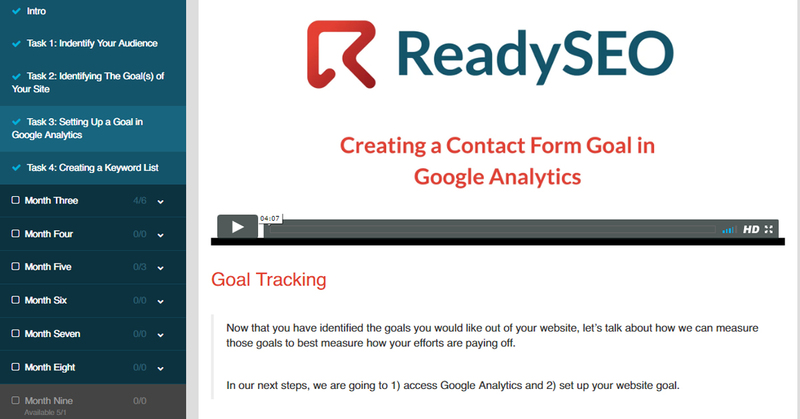 ReadySEO's videos make it easy to follow along and stay on track. Send us a message and we'll discuss how ReadySEO can grow your business online.